Traveling to the United States is both an exciting and nerve-wracking adventure. You’ve spent several weeks preparing for your trip, and packing all your essentials. You’re ready to explore the range of stunning national parks, iconic cities, and small towns. One of the most frustrating aspects of traveling internationally, however, is making sure your cell phone works and you can stay connected with family and friends back at home. Luckily, the experts at InMotion - the largest airport-based tech retailer in the US - have travel SIM card options to make sure that as soon as you arrive, you’re able to stay connected to loved ones. What are the benefits of using a travel SIM, and what are your options? We’re here to break it down for you. Low Quality Coverage: if you do have service and coverage in the country, it’s likely that your calls will frequently drop, texts will take a long time to deliver, and data will be hardly functional. Expensive Calls & Data: making calls and data while abroad is expensive! If you’re someone who constantly stays in touch with friends and family at home, you’re sure to run up a massive phone bill without a travel SIM. Lacking Data: Not only will your data be expensive, but it will be next to impossible to use the essential functions of your phone while traveling without a consistent internet connection, including GPS, music, and social media. Domestic Communication: If you’re traveling for work or school, it’s likely that you’ll be in contact with a variety of foreign numbers. Domestic dialing on an international phone is complicated with country dialling codes and standards. These reasons, among many others, are why you need to be sure to purchase a Travel SIM plan once you arrive in your destination. Before departing, be sure to contact your carrier to make sure your device is unlocked. Once arriving stop in at InMotion - located right in the airport - you can grab one of our great travel SIM plans that fits your needs. 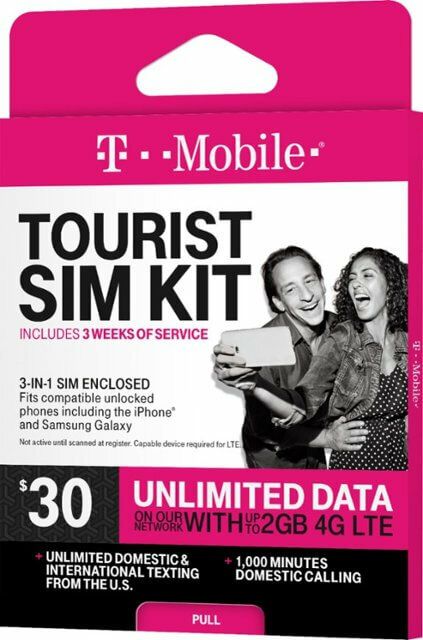 One of InMotion’s most popular Travel SIM plans is the T-Mobile 3 Week Tourist SIM Card. 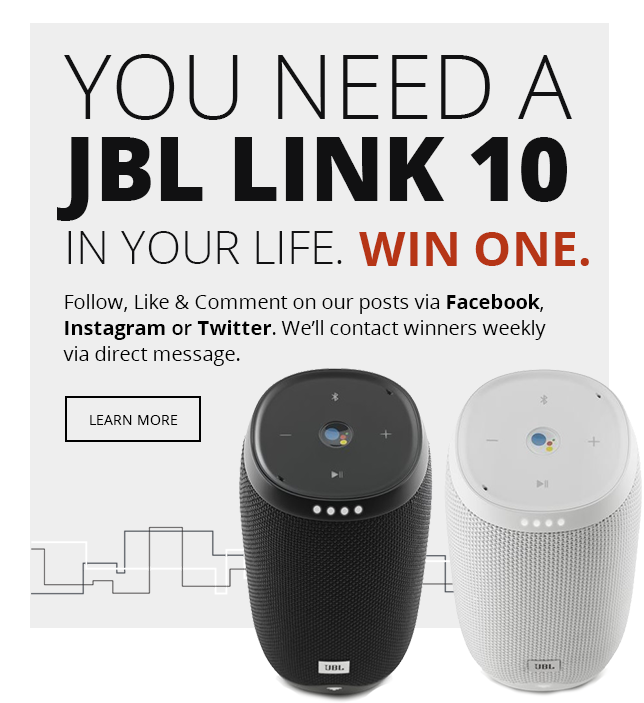 This three week plan includes 1,000 minutes of talk and unlimited text and data, allowing you to practically use your phone as normal and without interruption. 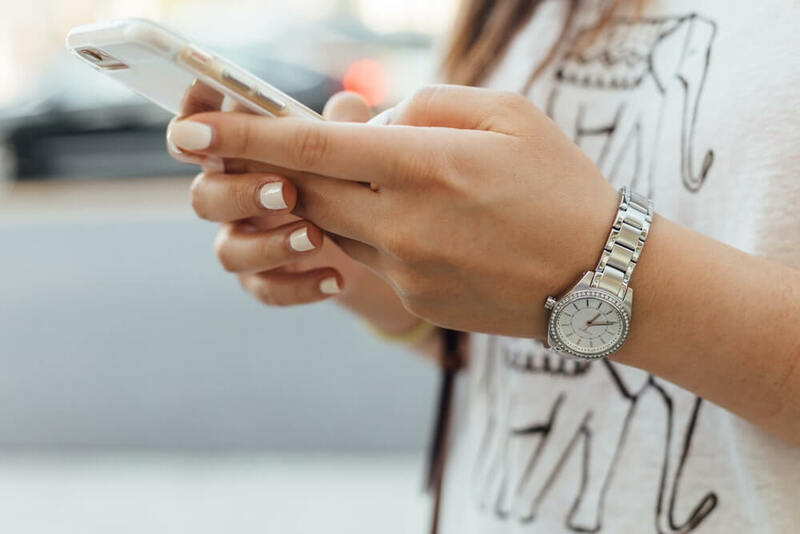 Unlimited text extends to more than 210 different countries and all United States numbers, making it easy to stay connected to loved ones without limits. Additionally, the T-Mobile 3 Week Tourist SIM Card includes 2GB of 4G LTE on the fastest nationwide network, allowing you to utilize high-speed data for all your needs while traveling. Stream music, watch video, and stay social with friends without worry with the T-Mobile 3 Week Tourist SIM Card, all on one of the largest and most trusted networks in the United States. When traveling, finding the right Travel SIM plan doesn’t have to be a stressful experience. Foreign travelers should stop in at InMotion at the airport to purchase a travel SIM upon arrival. While you’re there, stock up on the best tech for your adventure, including headphones, chargers, and foreign adapters from top brands. Our expert associates are there to make sure you find the best tech for your needs.